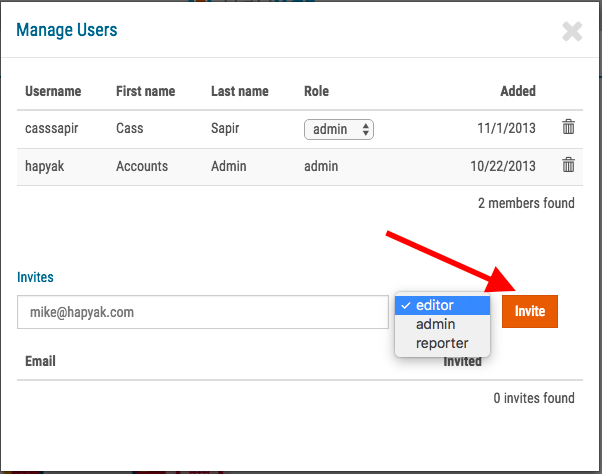 You can invite colleagues and collaborators to your HapYak group. These users are called Group Members as they will have access to all the same projects and reports that you do in your Group. Admin - Access to all functionality, including configuring styles and add-ons for projects, viewing reports, creating sub-groups, and inviting new users. Editor - Can create, edit, and share projects. Can view reports. Reporter - Can only view reports. 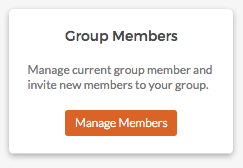 You can add Group Members to your group by going to Group Admin Settings and clicking "Manage Members"
Enter the email address of the person you'd like to add. Select the role (Admin, Editor, Reporter). Then click Invite. An email will automatically be sent inviting them to the group. The recipient should click on the link and then follow the on-screen instructions to complete the process. To remove a group member, click the Trashcan icon to the right of the Group Member you would like to remove. 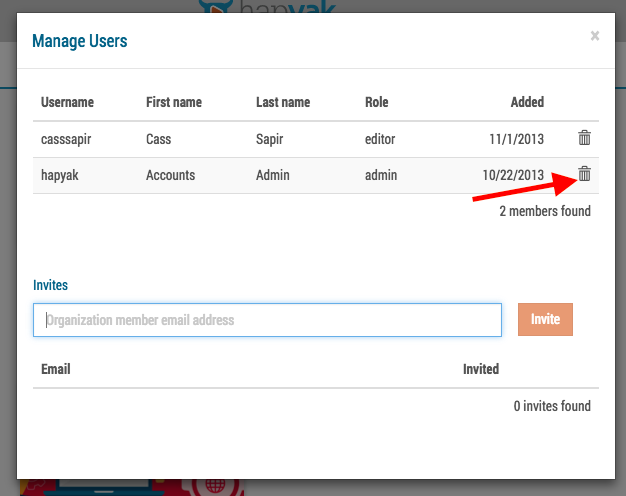 As an admin, If you need to change a Group Member's role, simply email support@hapyak.com and we will update your user permissions.